We put a ton of time and energy, especially in mathematics education, into trying to determine what skills and concepts we need to teach. Common Core has helped with this by laying out the skills that students should have mastered by the end of each grade, but I feel it's missing something. While (most) school districts now (somewhere) agree on what their students need to know, I never hear the discussion of why framed in a way that makes sense to me. With that in mind, I propose that more so than Common Core Standards, or State-level graduation tests (on which Pennsylvania is working) we, as teachers, parents and life-long learners encourage something else. After that question, new policies and educational mandates would be required to answer "Does this goal/fad/mandate/policy align with the what we have stated as the purpose of education?" The reason I bring this up is that I often think that some policies that are initiated by administrators and required of teachers serve different purposes, which are often contradicting. "I'm afraid I can't do that, Principal Jones." 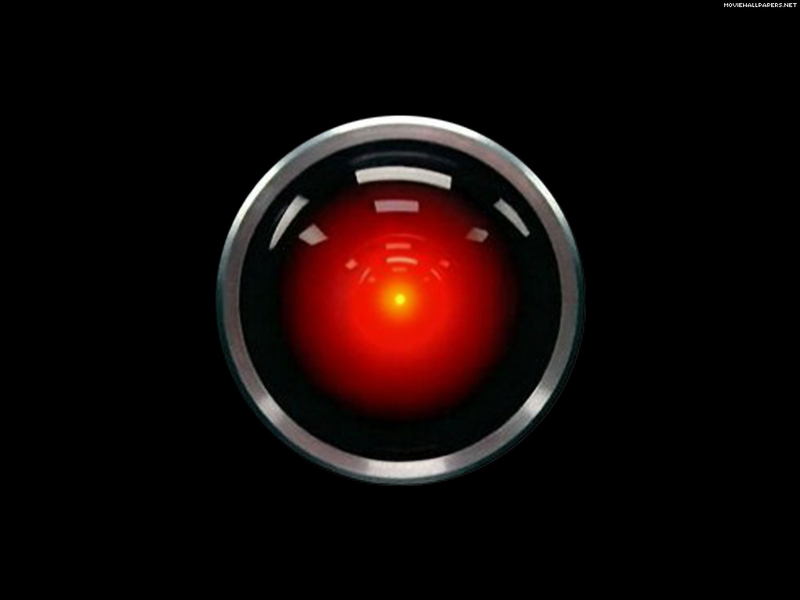 Those of you who have read 2001 know that HAL wasn't murderous. He was simply given contradicting orders and that lead to complete disaster. This concept was sort of glossed over in the movie and instead was replaced with an acid-trip beyond the edge of the universe, where, apparently, you are an old man and a baby at the same time. I think part of my disillusionment with public education has been exactly this problem (without the murder, of course). All too often in my career, I have been given mandates for things that I see as counterproductive to the educational environment in my classroom. So, because I don't have enough things going on this year, I will add one more. I hope that my readers can help me with this. Follow-up: Is it the role of each teacher to define it for themselves, or the role of the district to define it as the guiding principles of that district? Edit: To clarify, I mean K-12 education. Not the abstract concept of education. The mission of the Queen City Academy Charter School is to provide a nurturing cooperative learning community where each student can achieve his/her maximum academic, creative and physical potential; develop a lifelong love of learning; develop respect for self and others in a multicultural world; develop self confidence and self esteem; function with high ethical standards; and accept responsibility. I like our mission and it does help guide us as a school. I think your ideas #1,2,3,5 and 6 are similar. Something I am going to ask my kids is to define why they come to school, what is their purpose as a student. And they are NOT allowed to say because they have to! I think the idea of reciting the school mission every morning is a brilliant idea! It will keep it in the minds of the students as well as the teachers and administrators. It mentally aligns everyone to the same goal and purpose! I will be talking to my principal on Tuesday about doing this, if we have one. I think "we have to" is a valid response from a student. I think you should let them put that, but then make them answer why. "If you're only here because you have to be, tell me why you have to be. Why have we decided as a country that you have to go to school." Mathematics that is rote, fact memorization, procedural or below grade level is useless, as is a problem that no one can solve that has to be explained by the teacher. These two scenarios account for most of what occurs in classrooms. To give you our answer to your question, we recently wrote on Michael Pershan's blog that we are not so much interested in mathematics, per se, as in problem solving, the learning of which is what we think of as the purpose of education (at least math education). Mathematics is simply a means to the end, but it can be the right vehicle because it allows you to tightly control the complexity of the challenges you pose to students. The idea is to create problems where you can offload thinking onto students, such that they have a reasonable chance to actually solve a real problem, but where they will have to sweat if they are going to get to the end. Finding the right balance between challenge and solvability takes a tremendous effort on a teacher's part. Unfortunately, Common Core doesn't lead in this direction; it simply wants to increase "rigor", whatever that is. We are constantly being told that the students should go home more tired than we do. We should be "flipping our classrooms" and putting the onus of learning on them, rather than the onus of teaching on us. Through all of the professional development at the various districts in which I have worked, I have yet to be shown how this works and, worse yet, am often given policies and mandates that run counter to this charge. I finished a Master's in Secondary Math Education and received my degree with no greater understanding on how to achieve that, beyond "the hook," the concept of which strikes me as nothing more than tricking students into doing math. I don't want to do that. I want to convince students that they already do math and that they don't need to be experts in mental calculation to be "good at math." I completely agree with you (plural) that above all, we should be teaching problem solving skills. I believe that, if taught correctly and nurtured well, these skills will help students achieve amazing things in their lives as well as be "successful" on the mundane tasks that are measured by standardized tests and the Common Core. I will defer to the expertise of the brilliant Fawn Nguyen for the best way to implement problem solving in the classroom. I plan to do as much as I can get away with this year.